Samsung Galaxy X Foldable Phone’s Untold Story. From the products unveiled at CES 2018, it is obvious that Foldable technology is on its way. Especially the tech products by Samsung look inspired by folding concept. In the future flexible technology will become a reality. Samsung’s CEO has revealed Samsung Galaxy X Foldable phone will be launched in 2019. It will be one of the most highly anticipated products from Samsung in Future. On the internet, we have seen many leaked concepts of Samsung Galaxy X. Well, such leaks cannot be ignored because they mostly lead to product design and features companies are looking for. Famous companies like Apple have reconsidered such leak design on the internet to make their phones better. Recently Google has acquired Redux technology that is able to convert smartphone screen into speakers. Therefore it is sure we will see such technology in coming Google Pixel smartphones. The friendship of Google with Redux will eliminate 3.5mm audio jack option and embrace edge to edge display. Expected specs of Samsung Galaxy X foldable Phone? Samsung Galaxy X Foldable phone will be something different from what we see in the leaks. As always Samsung has adopted new features and technology to bring us the best. Of course, it will be a foldable phone but it is sure there will be something new with it. Rumours are that company displayed an idea of the phone at CES 2018 keeping it a private event. Some say that Samsung even showed full functionality of the phone as well. The report published in” Korean Herald” declared that Samsung displayed almost a complete foldable phone which is going to be in production phase this year. According to the Korean Herald report, Samsung invited more clients in a private event this year. So far it is known that Samsung Galaxy X foldable phone is going to have 7.3” panel that is going to be foldable inside as well outside. 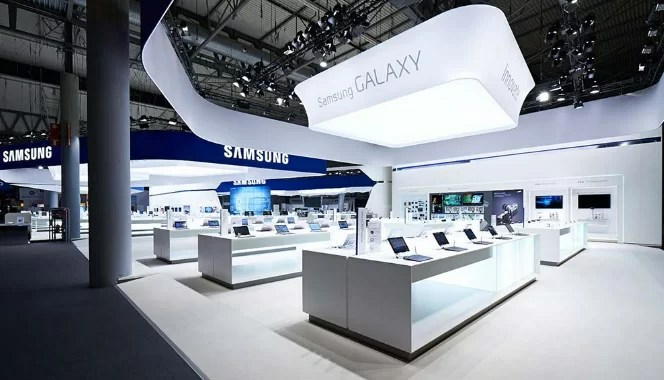 However, most of the experts say that they expect the unfolding feature by Samsung. The various reports on the internet are pointing towards the idea Samsung CEO shared the last year. Samsung’s CEO stated that it is not easy to make the foldable phone as there are various obstacles making one. But he further said that Foldable phones are on their roadmap and they have to deal with some serious issues to produce them. At CES 2018 is has been proved that Samsung alone will not produce foldable phones. As LG has also displayed their latest rolling TV that caught the attention of most people. Obviously, LG is going to surprise us with foldable smartphone any sooner or later this year. Before LG, Lenovo last year also amazed people around the world with the concept of their foldable device called Lenovo Folio. Lenovo Folio was kind of 7.8” tablet device was able to crop down to 5.5” dual screen. But sadly Folio was not able to make to the consumer market for some reasons. Finally, LG is working on making and providing OLED panels to the clients in the market. This is something which will trigger folding technology to arrive first in wearable gadgets like a smartwatch. So before the arrival of Samsung Galaxy X foldable phone, we might see some small foldable gadgets wrapped around our hands. Concluding all it doesn’t matter whether a watch comes first or smartphone. It will be the technology who will win not the company who makes it.